Hostess' comeback hasn't been all sweet. The maker of Twinkies, Ho Hos and Ding Dongs, reported disappointing earnings Wednesday sending its stock sliding 16%. 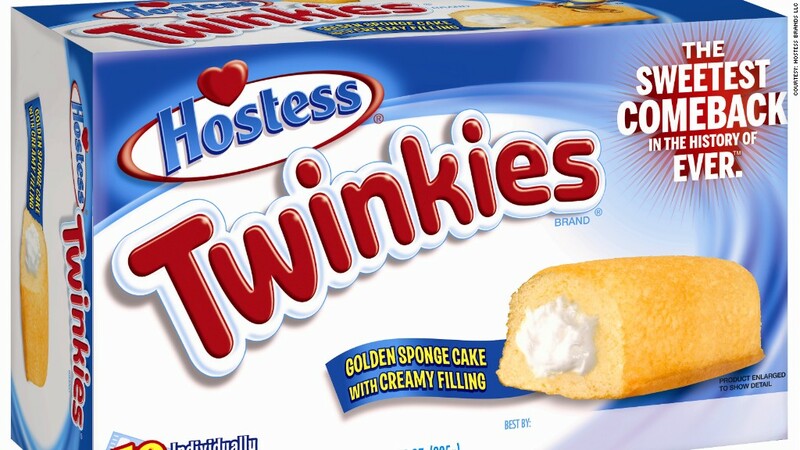 Hostess Brands (TWNK) CEO Andrew Callahan said Wednesday the company had been hurt in the second quarter by shrinking shelf space and "lower promotional support from one large retail partner." Callahan did not specifically name the retailer, but an analyst on a conference call with company executives revealed it was Walmart. The reduction in shelf space was "greater than we had planned," said Callahan. He said that the big box retailer enacted a "meaningful reduction" in stocking Hostess products. The Kansas City-based company reported earnings of 14 cents a share, missing analyst expectations of 18 cents a share. In another blow, the company only made $21 million last quarter, $5 million below expectations. The iconic snack food brand has been trying to regain its foothold in the market since filing for bankruptcy six years ago and temporarily shuttering after struggling with high cost structures and slowing demand. It was bought by private equity firms and reemerged with a smaller headcount called Hostess Brands. Gores Group bought a majority stake for $725 million in July 2016. In addition to offering its iconic staples like Twinkies, the nearly 100-year-old company earlier this year introduced a line of smaller treats, the Bakery Petites collection, made without artificial colors, flavors or high fructose corn syrup. The move helped boost growth for the first three months of the year, the company said. The stock is down 24% year-to-date and 14% since May, when Callahan took the reigns as CEO. Despite short-term issues Callahan said that the " growth pieces and value creation of the Hostess Brands remains extremely strong.